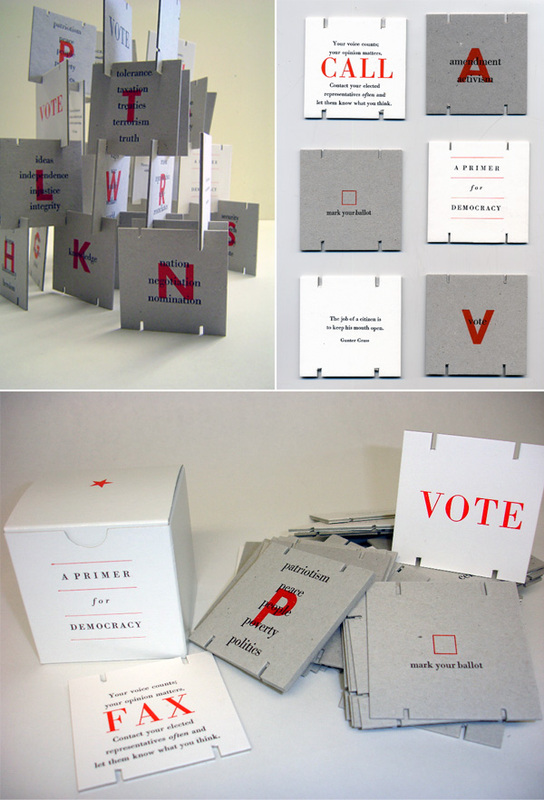 With the 2012 election just a week away, we thought it’d be fitting to poll some of the printers we admire to see how they’re using letterpress to inspire political change. The results are in, and they’re poignant, humorous, intelligent and – above all – stimulating. We gathered some of letterpress’s best for the sixth installment of our letterpress roundtable discussion in an effort to light the way for what is yet to come. Read the stirring responses this group has to offer and be sure to tell us about your own projects in the comments section below! 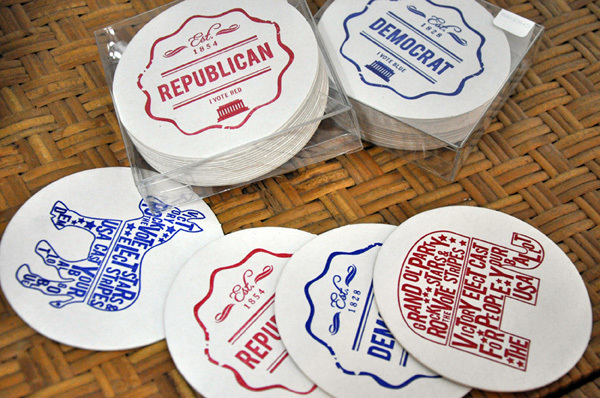 We love our political coasters – which represent both sides of the current political culture – because they are fun and flashy. No matter where any one person falls in the political divide, it’s important to vote and that was our focus with the political coasters! Plus, we think they’d be a ton of fun for an Election Night Party. And we just can’t call ourselves proud Washingtonians without getting a great product to market that represents our area’s past-time – national politics! 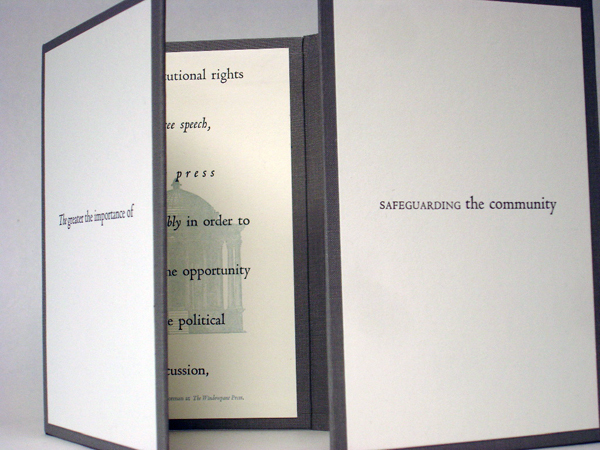 My artist’s books often relate to political content and encourage change. I have been creating them collaboratively in weekend workshops that I teach for beginning letterpress printers. The classes are taught in my home studio through the University of Washington Experimental College. The books are conceived, designed and directed by me with the participation of whoever shows up for the workshop that weekend, so there is often a surprise element in the content and direction of that content. At the end of the two-day workshop, each participant gets five copies of a finished book which has been produced in at least two, if not more, colors/press runs. Pictured above is my “Homeland Security” artist’s book, and the project below is “A Primer for Democracy”. The primer’s main theme, VOTE, is repeated and reinforced: CALL and/or FAX your elected representative, often, because your voice – and everyone’s voice – matters. Essentially, this alphabet book [printed on a 10 x 15 Chandler & Price] can be constructed, reconstructed and deconstructed in countless ways. Like democracy, as a completed structure, “A Primer for Democracy” is a little bit wobbly and requires care in constructing and maintaining. Our first project, “PARTY PEOPLE IN THE HOUSE: Who will it be? 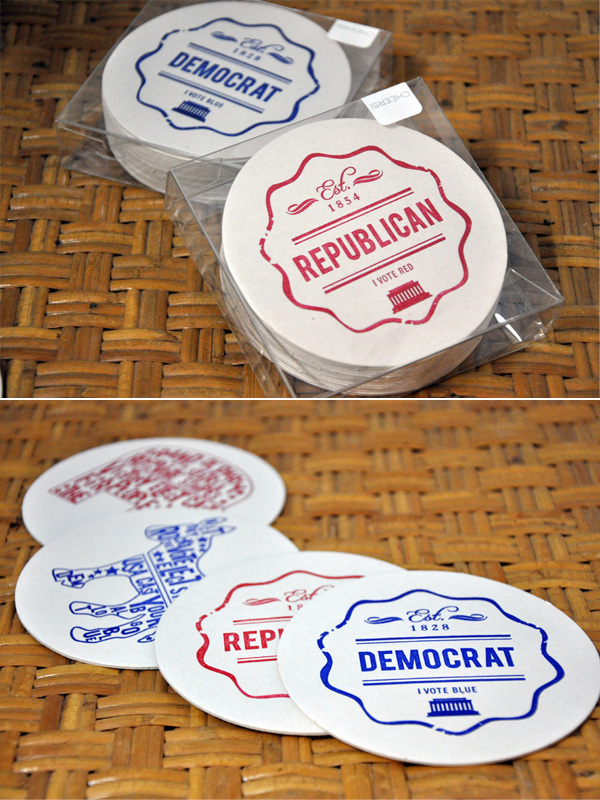 Presidential Election 2012” is a set of 11 coasters, bearing the faces of American politicians. 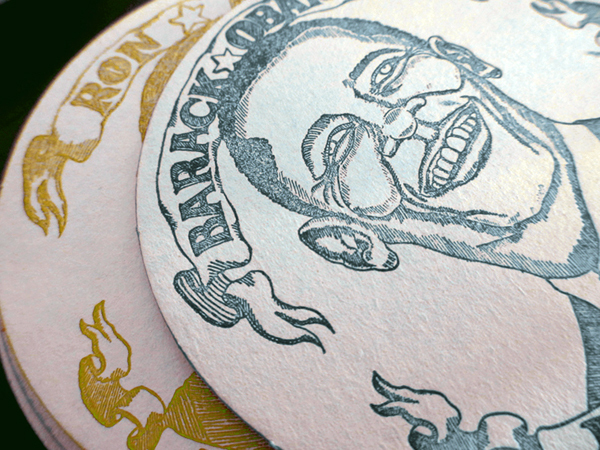 We thought it would be interesting to capture the facial expressions of these desperate politicians during this US presidential election, and create a coaster set which could appeal not only to those who are interested in politics, but also to those who couldn’t care less one way or the other…or better yet, to people who hate politics, but can find humor in it. Our intention is to make people think and talk about serious issues with a little humor, or even just to look at them. The expression, “PARTY PEOPLE IN THE HOUSE” obviously stands for the political parties and the White House. (It is also intended to portray these characters as party people, who you may invite to a house party…and that they would be “in ‘da house!”.. which has been borrowed from street slang, but is cleaned up a bit in spelling). This product is not to be taken too seriously about political opinions, but with irony and humor. When you open the box, all the party people come out and sit with you while you drink! You can make a toast to your favorite politician, or make a stain on your least favorite one. 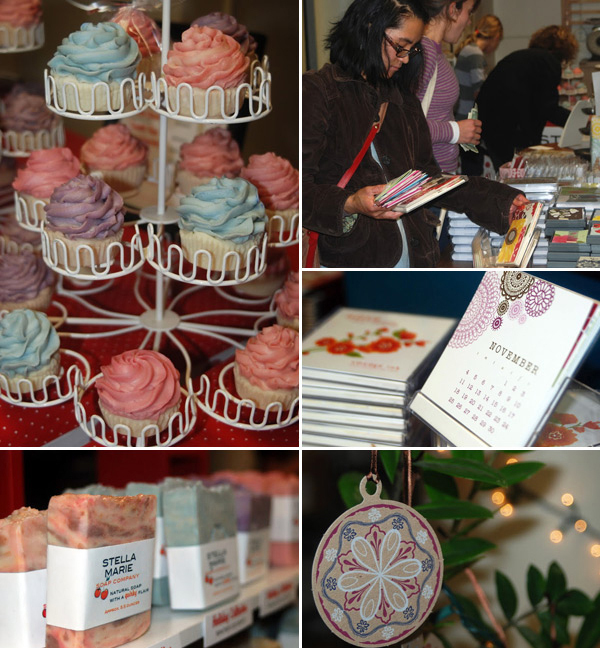 Each original illustration was hand-drawn and printed on a vintage letterpress (Adana 8×5), then edge painted by hand. As far as my own work in letterpress, I use it almost entirely to support my photographic work, which is centered around recording local farming traditions and preserving local history as it is slowly stamped out (from an on-the-ground perspective that is, whilst the City of Portland would call themselves great preservationists…). There is this idea that in order to move forward as a city and as a county, we have always to be looking ahead and shedding our skin, and what nobody realizes is that the system that accomplishes this on a base level, also runs family off their land and out of houses that they may have had for generations and generations. My family has been on the same land that I live on since 1863. Within my lifetime, I expect to see our ability to stay here challenged and quite probably yanked from under our feet. Most immediately, my passion is to record everything I can about the small community that I live in, stories, images, [letterpress], textures, etc., and further down the road, I’m tinkering with some legislation that I’d like to see passed that would give protection to longstanding farms and encourage them to become centers of family identities. It is my hope to raise social awareness of immigration laws and their immediate effects. 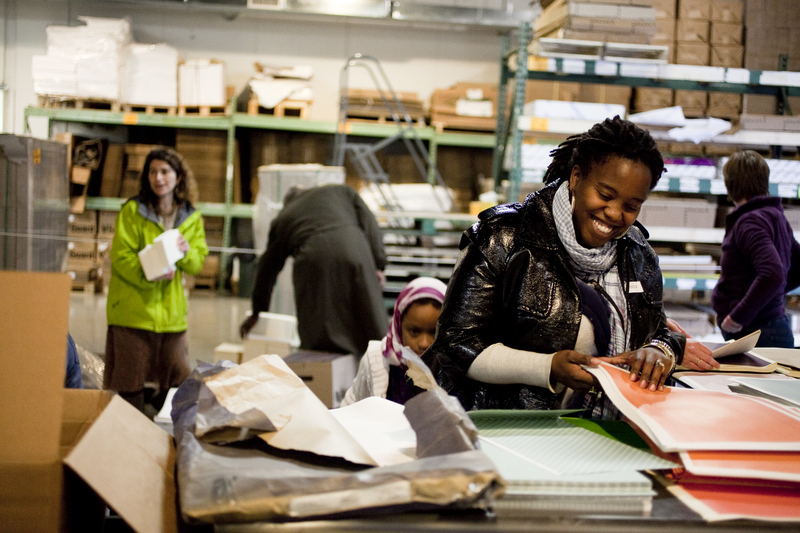 Within all that, printmaking and photography in various forms play a central role. The ability to capture just about everything but sound and taste is hugely important, as all the work I produce will eventually become key to my argument for protective legislation, as well as a dedicated record of the existence of everything that exists here, should it ever fall away. No really, we just don’t do it. 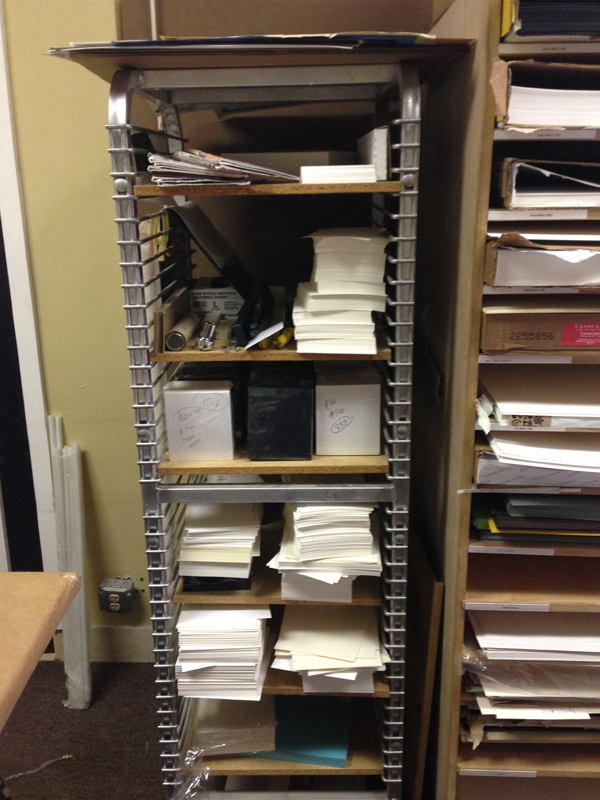 We’re a strictly paper-based shop and we like it that way. But, every 4 years, we arrive at a time that we feel is important enough for us to break this hard and fast rule. 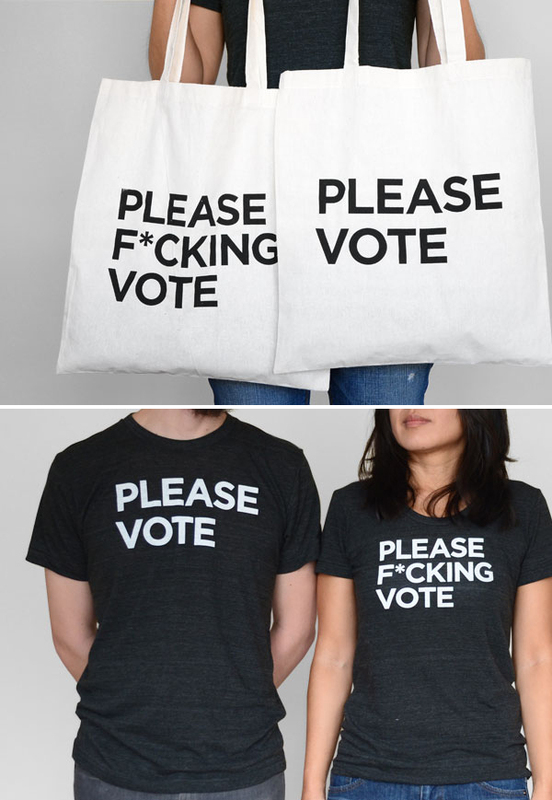 So, for the second election in a row, we printed PLEASE VOTE and PLEASE F*CKING VOTE shirts (and this year, totes too). Election posters have a rich history in the world of screen printing and letterpress, but we wanted a more mobile, thought-provoking item and T-shirts fit the bill. Our message was deliberately simple, nonpartisan, and clear. Just VOTE. And if you REALLY felt strongly about it, “Please F*cking Vote”. By making shirts and totes, we found ourselves reaching an audience in a completely different way. The message became a quick reminder to the public and often, a conversation starter. We support the idea that everyone has their own stance, reasoning, and beliefs that will shape their vote, and that’s great. We have our preferred politicians and so do you. At best, we hope the shirts open a dialogue and encourage everyone to stand for what they believe in, and take it to the polls on November 6th. We here at Ruff House Art are proud to offer an eco-friendly line of letterpress products that push the boundaries of traditional stationery. 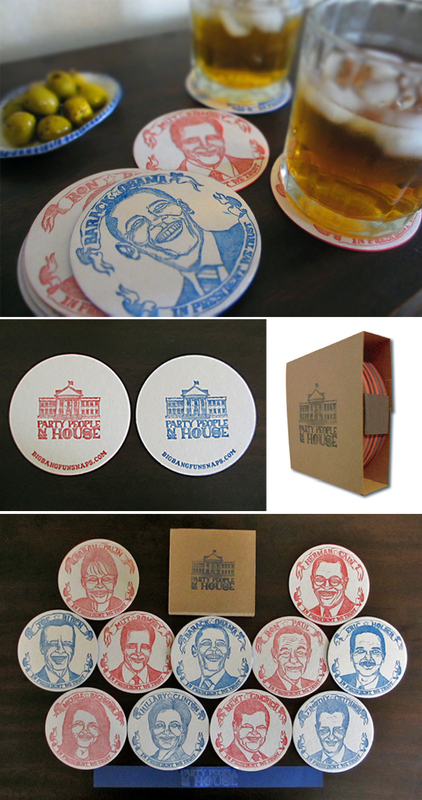 When we decided to launch our line of political coasters (which are printed on 100% biodegradable paper) we just wanted people to get excited and involved in the upcoming election. It is important to stay knowledgeable & involved, and if our coasters can act as a reminder to vote, a conversation starter or merely a touch of patriotic decor, then we high-five that! 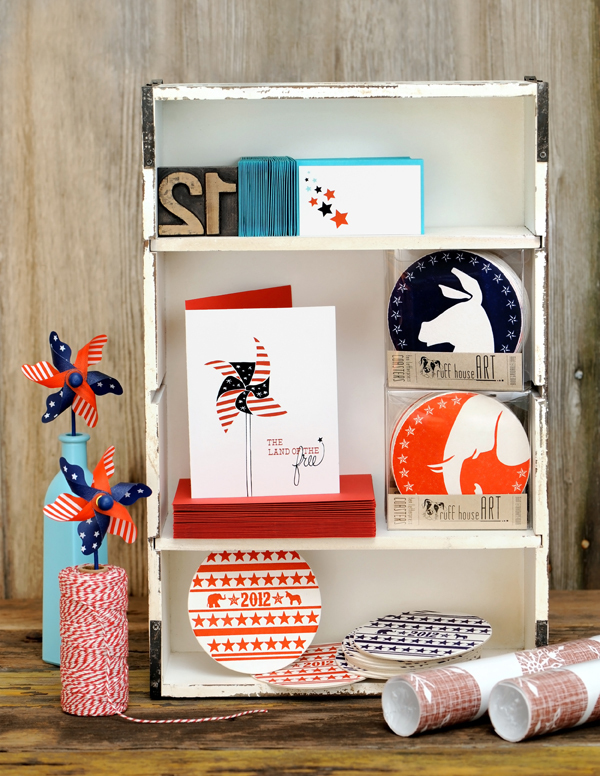 Our entire election coaster line is on sale right now, too — 35% off while supplies last! If you’ve got photos online of your work that stirs the mind and you’d like to share them, please include a link to the photos in your comment! We are taking the inspiration one step further and offering 10% off election-related plate orders retroactively until November 30, 2012. 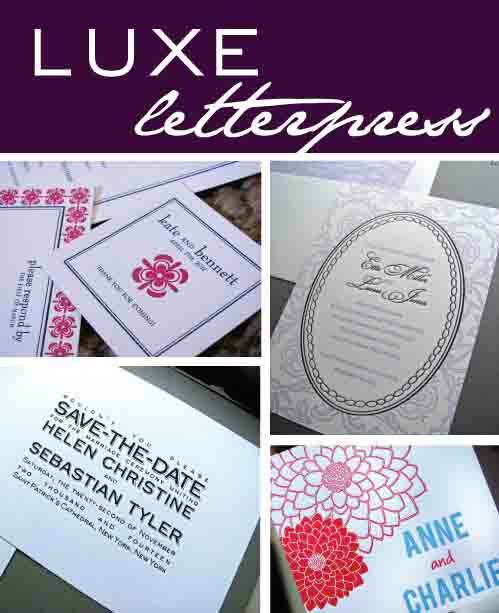 Of course, any stationery designer certainly loves the look of letterpress. 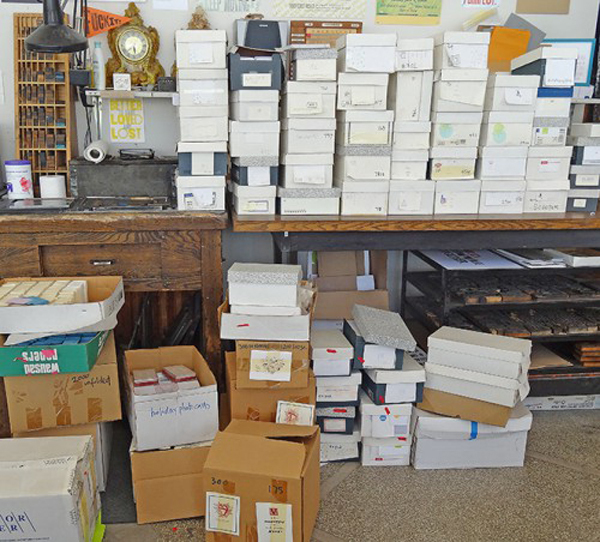 Prior to doing our own printing we would farm out the work to local printers â€“ printers who we are proud to still call friends (and who we call on when we have a question about our presses!) We really really loved when our clients chose letterpress for their invitations and thought the one thing missing was knowing how to print ourselves. 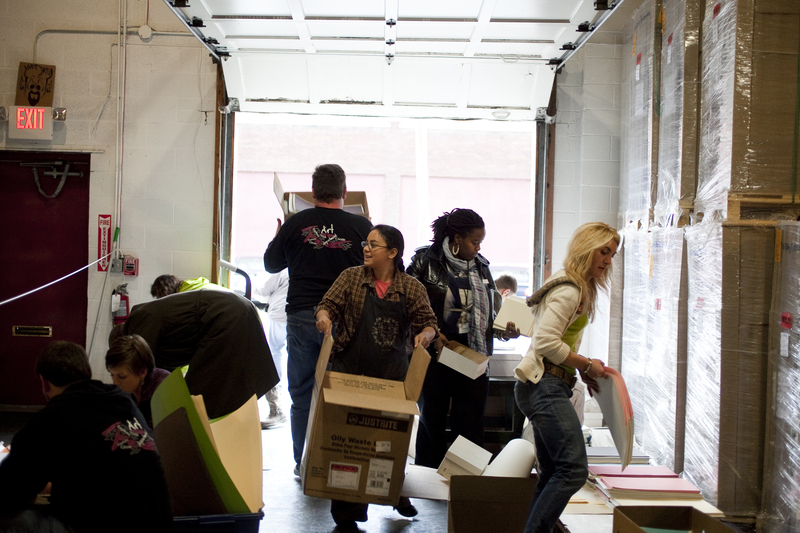 So we took a one day class in the basement of a letterpress hobbyist in Alexandria, Virginia. He was a super nice guy, but here we are two young ladies in a dingy basement hand cranking a tabletop press and just thinking we were so cool to be setting type and mixing ink and having a blast. To this day I’m not too sure what our instructor thought of us or our enthusiasm for letterpress. I think we quite overwhelmed him! Well, at the end of our class he handed us a copy of a newspaper dedicated to the letterpress community and in the back was a classified section. We honed in on our press, called the owner and purchased the press within 20 minutes of leaving our workshop. Now mind you, the press we bought was in Pittsburgh. We would go up and officially adopt her a few weeks later. And that is another the story in of itself. A story for another time perhaps! What was your very first press (and are you using it still)? A Golding Pearl 7×11. You may call her Pearl (we call her the gobbler)! She is semi-retired but still does a mean job on our envelopes! What medium do you usually print (lead/wood type, photopolymer, lino, etc.)? We love to draw! Our hand drawings and sketches form the foundation of our new designs. We also LOVE vintage images and sometimes incorporate those into our designs as well. So, from our doodling, we turn the designs into reality in CS4 and CS5 (depending on which computer we’re working on). Then we order plates from Boxcar and the rest, as they say, is history. 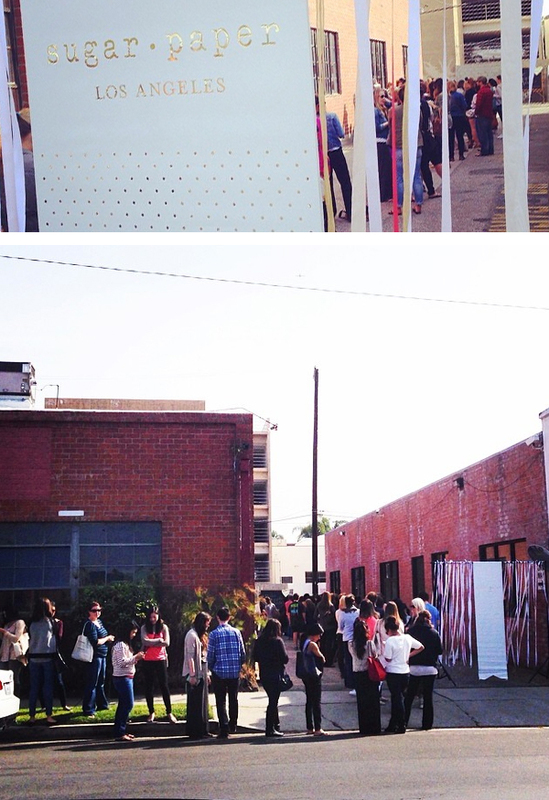 We’ve always admired Studio on Fire for their ability to print anything! 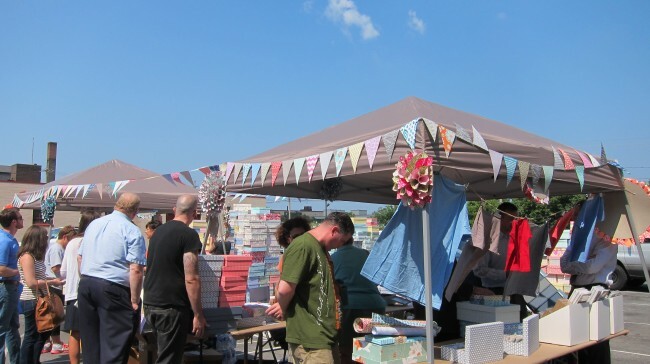 What do you love about working with Boxcar Press? Cathy Smith, of course! (read: wonderful customer service.) Of course, the quality plates keep us coming back for more! I don’t know if we have any neat tricks, but I will say a deep breath goes a long way at times. We find inspiration in so many different things. 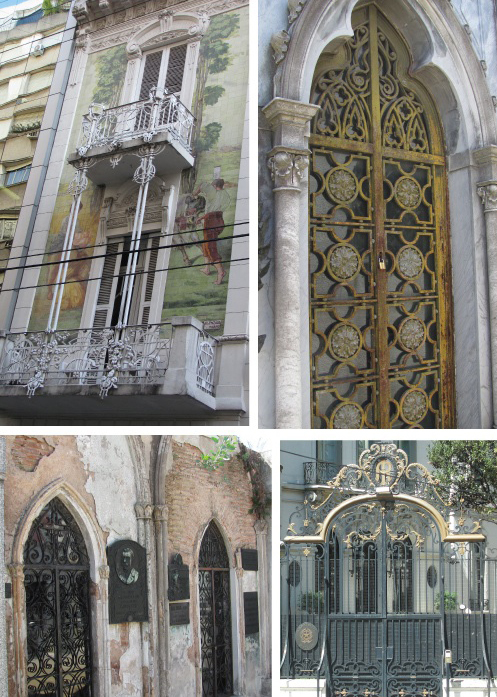 Right now, we’re in love with a bunch of photos that Sarah took of the amazing architecture in Argentina this past spring! 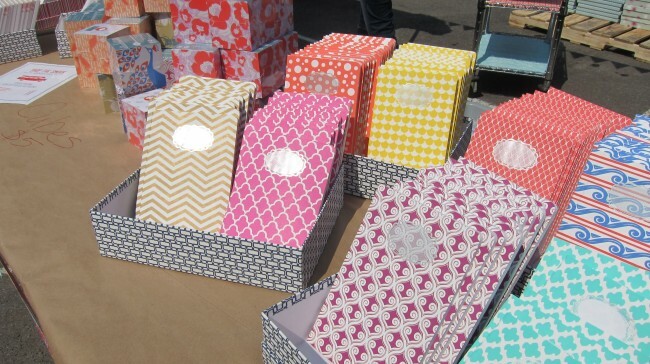 What’s next for Haute Papier? 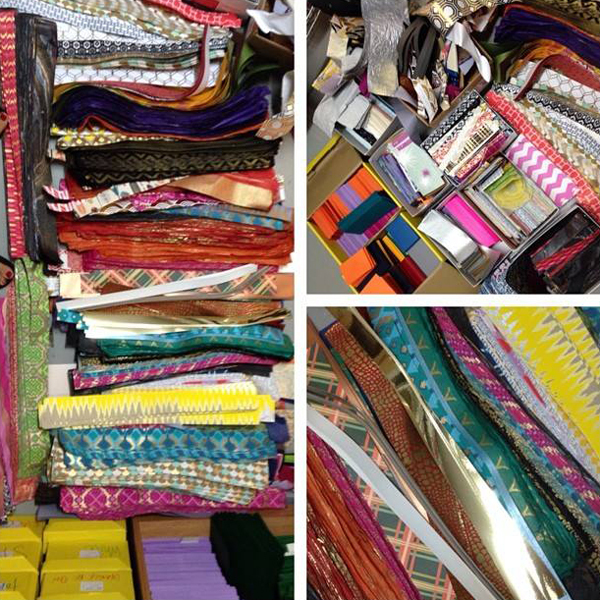 We’re in the process of expanding our cash and carry lines and look forward to introducing it to our retailers! 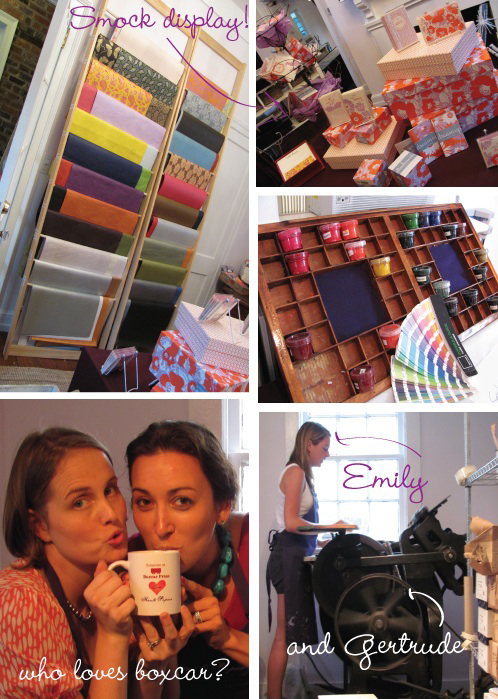 What was the experience like for you at the National Stationery Show? Do you have any suggestions for people hoping to exhibit? We love NSS! We’re going on exhibiting for our third year and love meeting new dealers and reconnecting with our current dealers. It’s also a nice time to meet fellow printers. As we all know, NSS is a costly undertaking so we really try and kill it! We are excited to be there and ready to talk everyone’s ear off who will listen to us about Haute Papier! It’s really about making the most of our week. 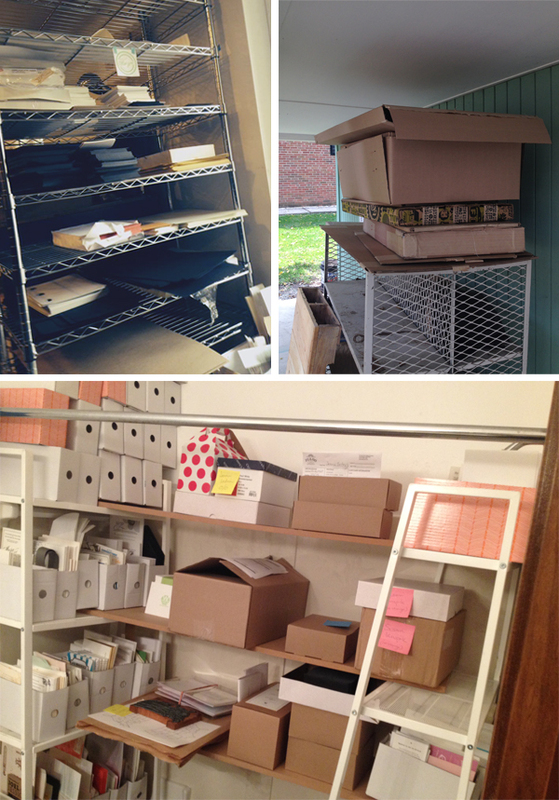 Thanks so much, ladies, for sharing a little insight about Haute Papier! 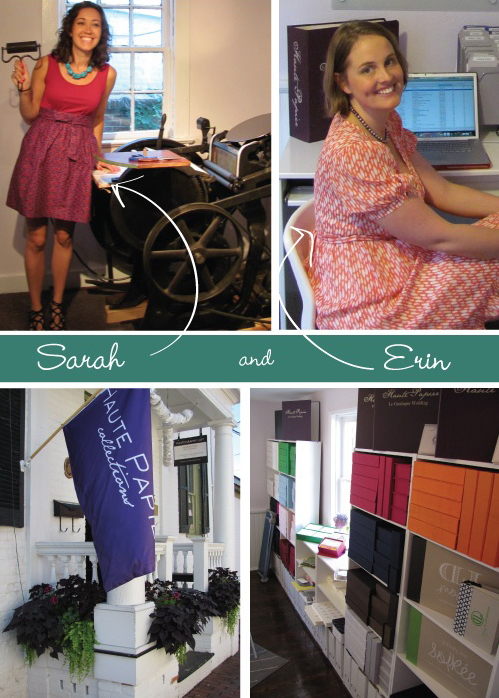 For more about Sarah, Erin, and Haute Papier visit their website.